I am not satisfied with the information that we receive in the US from our media about Iran. With some on the Right insisting that we or Israel must attack Iran, I am reading several books on the country to gain a better insight on possible peaceful solutions. 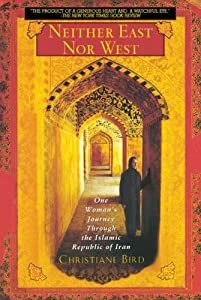 The best of the books I am currently reading is Neither East Nor West, One Woman’s Journey through the Islamic Republic of Iran by Christiane Bird who also wrote a book entitled A Thousand Sighs, A Thousand Revolts: Journeys in Kurdistan about the Kurds of Northern Iraq, Eastern Turkey and Western Iran. The Kurds are the most populous ethnic group in the world without a country to call their own. They have the misfortune to occupy a territory that is rich in oil that the three countries, Iran, Turkey and Iraq are unwilling to cede to the Kurds. If you want to understand Iran more thoroughly in these turbulent times, I highly recommend Christiane Bird’s book. Another book that I wish I had in my possession to read is Kermit Roosevelt‘s Countercoup: The Struggle for the Control of Iran, first published in 1979 and long out of print. Roosevelt was FDR’s grandson and CIA station chief for Iran and surrounding countries. In his book, he related what dirty tricks the CIA used to bring down the freely elected Iranian government of Mohammad Mosaddegh and restore the Shah to power. 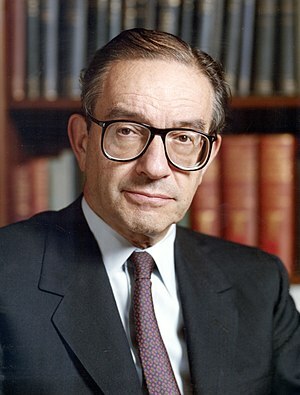 The Iranian people have not forgiven us for that, and it was part of the reason the US was referred to as the “Great Satan” after the Iranian revolution of 1979. After I wrote Bush and bin Laden, I decided to do some further reading on the subject. Tommy Franks‘s deputy Lieutenant General Michael DeLong with Noah Lukeman wrote a book I had not read before entitled Inside Centcom, The Unvarnished Truth about the Wars in Afghanistan and Iraq. In that book, DeLong again stated his conviction that bin Laden was at Tora Bora during late 2001, early 2002. The area of interest around Tora Bora was 70 square miles. If it were circular, the circumference to be guarded was 30 miles; if rectangular 7 by 10 miles, the perimeter was 34 miles. Assuming a rectangle 1 mile by 70 miles long, the worst possible case from our viewpoint, the perimeter to be guarded against escape by bin Laden would have been 142 miles. A large area to cover it is true, but surely it was well within our capabilities to capture the world’s most wanted war criminal since the mountainous terrain limited the number of escape routes for the non-mountain climbers of al-Qaeda members from Saudi Arabia. After all, how many desert dwellers climb mountains for sport or recreation? There is speculation that if Mitt wins, he will name John Bolton as his Secretary of State. If true, I think that is one of the best reasons for not electing Mitt Romney. John Bolton is a Neocon who supported the war in Iraq and supports attacking Iran. Just moments ago on Megyn Kelly’s FOX News program, Bolton voiced the usual criticism of President Obama over the terrorist attack in Libya. In his opinion, Barack sees the world through blinders and Barack believes that the GWOT (Global War On Terror) is over. If that is true, how does Bolton explain the widespread use of drones throughout the Middle East and Pakistan? The US is training Afghan security forces so that our fighting men and women can be brought home. The Afghans are slated to be responsible for the security of their country. There are at least two problems. The Afghan security force is larger than the country can afford to maintain. Members of the Afghan security force are regularly, once or twice a week, killing or wounding their US or allied forces trainers. They are saying that they don’t want us in their country and our withdrawal can’t come soon enough. Thinking back over recent US history, I can’t think of a single significant war that the US has won since WW2. 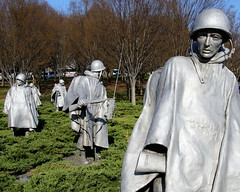 The Korean war was a stalemate; Vietnam was a loss. Iraq was either a stalemate or a loss depending on how the future turns out. I expect to put Afghanistan in the loss column, stalemate would be an unexpected victory. Grenada and Panama don’t count because our opponents were way overmatched. There is something very wrong here with our leadership, both within the Pentagon and without, if we continue to wage war and haven’t won since 1945, 67 years ago. On the plus side, we did win the Cold War, but it was waged without firing a shot. We are losing/have lost the war on drugs and the war on poverty. It’s too early to tell if we will win the Global War on Terror.